An unseen menace terrorizes a tiny island off Costa Rica. It’s the premier attraction in a new theme park – Jurassic Park – that will feature living dinosaurs. The dinosaurs are the main event in this Steven Spielberg movie (the first one released in 1993 is now in theaters in 3D). But there is much more to this film. Spielberg’s “basic ideas are family values, illumination and flight,” said Douglas Brode, author of “The Films of Steven Spielberg” and film professor at Syracuse University. At night, as workers maneuver a crate near the gates, the creature inside attempts to escape and kills one of the workers as they try to contain it. The dark side of greed emerges when Dennis Nedry (Wayne Knight) gleefully embraces a satchel filled with money. In return, he’s to steal dinosaur embryos from the park and turn them over to his boss’s competitor. Miners in the Dominican Republic find golden amber that appears to be lit from within. One holds it up for us to admire. We see a mosquito from antiquity that once sucked a dinosaur’s blood. When that blood is extracted, scientists at John Hammond’s (Richard Attenborough) lab use the DNA to create animals that roamed the earth millions of years ago. 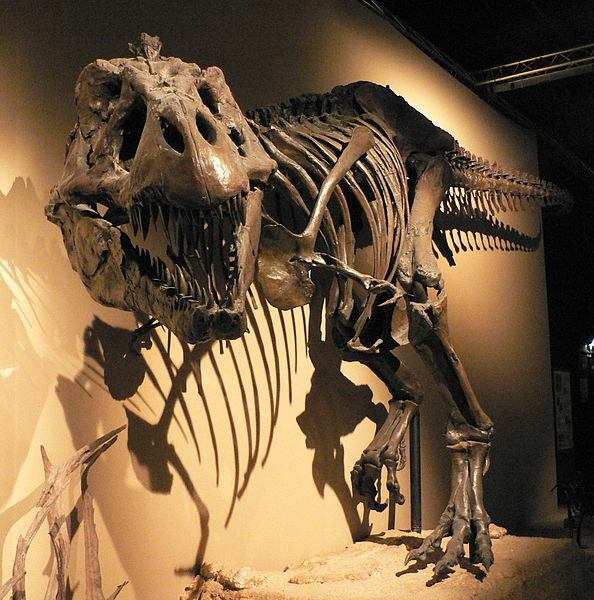 Tyrannosaurus rex (T-rex) and Velociraptor are among the park’s deadly predators. 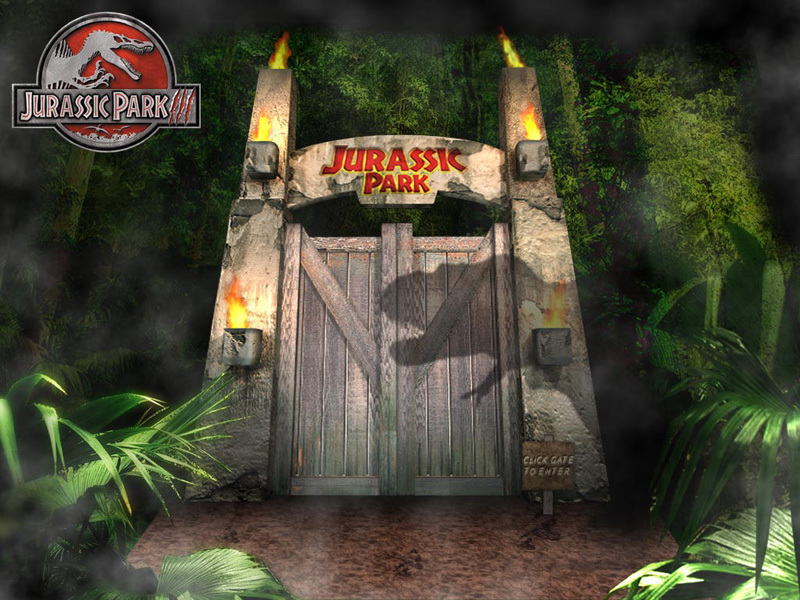 After that fatal attack, Hammond persuades two scientists – paleontologist Dr. Alan Grant (Sam Neill) and his girlfriend, Dr. Ellie Sattler (Laura Dern) – to visit and endorse his park. If they do, Hammond says he’ll then get approval to open. Dr. Ian Malcolm (Jeff Goldblum), a chaos theorist, and an attorney, Donald Gennaro (Martin Ferrero), join them. They gasp in amazement when they first see gentle plant-eating dinosaurs, Brachiosaurus, roam the park. Dr. Grant says dinosaurs are distant relatives of birds – not reptiles – and later wonders when they learned to fly. But they’re concerned about the living biological attractions. ”Your scientists were so preoccupied with whether or not they could, they did not stop to think if they should,” Dr. Malcolm tells Hammond. The T-rex in a museum is scary enough. Hammond tries to reassure them. He sends Grant, Sattler, Malcolm and Gennaro off with his two grandchildren, Lex and Tim, to tour the park in a computer-controlled Ford Explorer. The tour is disappointing. The T-rex and Velociprators are a no-show. The Triceratops is sick, and Sattler stays behind to help the ailing creature. A tropical storm is approaching and the tour cars break down. Nedry takes advantage of the chaos and deactivates the park’s security system so he can gain access to a secure area and steal the embryos. This also deactivates most of the park’s 10,000-volt electric fences that contain the T-rex. Soon, the stalled tour has an uninvited guest. Frustrated, Hammond and Ray Arnold (Samuel L. Jackson) decide to shut down the command center’s whole computer system and then reboot it. This disables the remaining fences and two Velociraptors are now on the loose. Back on the tour, a sound of thunder as the ground vibrates. Water begins to tremble in glasses on the dash, signaling the T-rex’s approach. The attorney (Gennaro) flees the vehicle and races to a port-a-john, leaving the kids alone. Lex finds a powerful searchlight and turns it on. This attracts T-rex. He kicks the car over and attacks it. Grant jumps out of the Ford, shouts at the T-rex and throws a flare. Malcolm joins him and yells as he also attempts to divert T-rex away from the children. T-rex breaks into the port-a-potty and devours the attorney. T-rex returns to the vehicle and knocks it over the ledge. Grant and Lex escape. He tells Lex to hide while he returns for her brother. She stammers, “He left us,” referring to the attorney. Grant reassures her that he will be back. Grant rescues Tim. It’s night, and he takes the frightened children up a tree to sleep. When they awake, Lex is startled to see Brachiosaurus grazing nearby, but soon warms to them. Later, Grant spots recently hatched dinosaur eggs, a reminder of Malcolm’s warning that “life will find a way.” The dinosaurs, who were all supposed to be female, are breeding. Malcolm, who was injured in this skirmish, is rescued by Sattler and game warden Robert Muldoon (Bob Peck). The empty car gives them hope that the kids are safe with Grant. 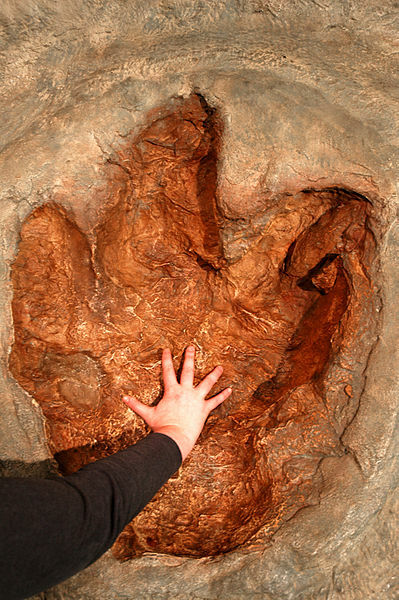 Then Malcolm sees the puddle in the T-rex’s footprint vibrating – an impact tremor. T-rex is returning. They flee in a car with the T-rex in hot pursuit. The ground trembles as the T-rex returns. “Think they’ll have that on the tour,” Dr. Malcolm says sarcastically as they narrowly escape. No one is safe. Restoring the compound’s power creates hazards of its own. The T-rex and the Veliciraptors invade the compound. The humans – in their ever-dwindling numbers – require outside help in their flight to safety. The original movie was a fun event for all. It provoked some thoughts in my mind, that I hopefully transferred to my kid’s minds, that everything, I mean everything and everyone, it, every molecule, we are all connected, related…past to future, inside to outside…like it or not… this place, this world, this universe did not just begin at random and continue as a random event… hopefully this movie OPENED up some minds. 3D, well, that’s just a little more bling or sparkle on the same thing, which is fine with me. My wife says sometimes I make absolutely no sense! Period. And that I use to many commas. At 70, well, maybe I need to pause more often than most. Excellent insights, Rich. I do believe that we are all connected – past and future — and that there was a grand design. I was scared enough watching the original movie. My hubby and I saw the 3D version tonight. I didn’t really feel that it added anything to the original. I loved the movie, but then I love Godzilla, and to me this was a souped-up Godzilla movie. I doubt I’ll see the 3D version but that’s only because I don’t like watching movies in theaters. A souped up Godzilla (or King Kong) movie is spot-on, Rumpydog. The creatures are misunderstood and cause much destruction everywhere they go. I do like watching movies on the big screen, but sometimes it’s far more enjoyable to see them at home. I read the book before they made the movie and I enjoyed both. It was a fascinating (and terrifying) premise. That said, I don’t think I’ll be forking over the money to see it in 3D. Paprika, I also enjoyed Michael Crichton’s book. The movie was pretty intense and riveting as well. After re-watching Jurassic Park this week, I was curious to see how it plays in 3D. We saw it tonight. Wise choice on the 3D version. Save your money. I don’t think the 3D version adds anything to the original film. 3D? Who needs it? the original was remarkable all on its own. I agree, Sue. We did enjoy seeing it on the big screen, but the 3D was unnecessary. Sad to say, for a Saturday night, there were very few people in the audience. It’s still a great film. I’ll never forget how impressed i was at the time by the way the dinosaurs had been animated. A whole new generation of artistry. Spielberg had me at the ‘wow’ factor, too. The dinosaurs looked and moved liked they were real. It’s not a ‘theme park’ I would venture to. The thought they were brought back to life is terrifying, unsettling, and fascinating. Great film, and the dinosaur/toilet moment is just classic…..
Kate, that scene never fails to crack me up. There are also several great lines and other moments in this film that just keep me coming back for more. This is so much fun, Judy, especially the picture with the human hand to show perspective. I love it! A boy in our granddaughter’s class has a glass bulb he wears on a chain. Inside is a mosquito with little stains of blood droplets, and at recess he warns kids that if he breaks the bulb the massive kid-eating reptiles will grow again and come after them. Kids. They enjoy every squeal and scream! I just realized that this month’s National Geographic has a cover story about this very topic: Even if we can clone extinct species, does that mean we should? Can it be a coincidence that the film is back in theaters at the same time? Great line, Charles. There were many little moments and one-liners that really made this one of my favorite movies. I didn’t realize that the National Geographic had a cover story on this topic. I had read that there’s a billionaire who wants to do this – but not with living dinosaurs. Now, that might be cool! Love Jurrasic Park. I am a fan of these creatures and imagine my excitement when it was on screen. Awesome post. Have a great day. Thanks for writing. I enjoy this film as well – saw it twice in one week last week. Your photos and stories are awesome as well. I remember the laughter as well, Mark, when the T-rex caught the attorney in a most awkward moment. Steven Spielberg, like Alfred Hitchcock, knows that adding light/humorous moments is essential to the plot. We need some release from the tension.